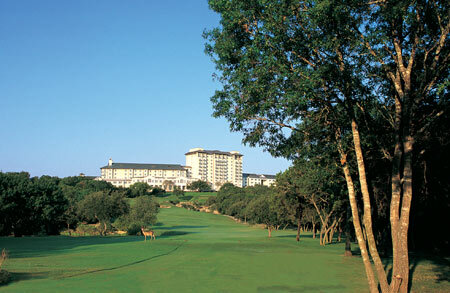 Question: We are traveling to Austin, Texas and hoping to stay at the Barton Creek Resort and Spa. We’re traveling with 2 kids ages 12 and 14; what would be a good room option for the 4 of us? Answer: The Barton Creek Resort and Spa has a ‘Stunning hill country or golf course view room with a king size bed and a pull out bed.’ The pull out bed is slightly smaller than a queen size bed so it would be recommended to get an additional rollaway bed added to the room for a $35 one-time fee. To view full nightly breakdowns and to make your reservations, simply click on the hotel name link, enter your dates of travel, and select a specific room type. Please be sure to fill in the special request field stating that you'll be traveling with two kids ages 12 and 14 and that you’d like to have a rollaway bed added to the room. Please be advised that the rates and availability are subject to change depending on the hotel’s policies.